Allen and Heath - Dust Cover for QU-16 Digital Console The Allen & Heath Dust Cover for Qu-16 Digital Mixer is composed of a water-repellent polyester and can help keep your Qu-16 digital mixer protected from dust. It features a screen-printed logo. 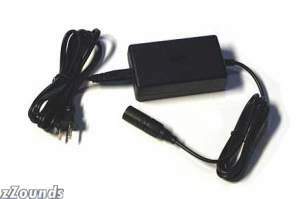 BEHRINGER - 12X-HI4 High Intensity 5-Watt Halogen 12&quot; Goo The Behringer 12X-HI4 is a high intensity 5-Watt halogen 12 gooseneck lamp with 4-Pin XLR connector designed for use with the X32 digital mixer. 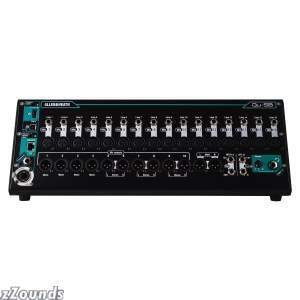 Allen and Heath - The Allen and Heath AH-QU-16-RK19 Rack Kit allows you to rackmount a Qu-16 digital mixer. Allen and Heath - Qu Series Digital Mixer Dust Cover Outfit your Allen and Heath Qu Series Digital Mixer with the official dust cover made for it. 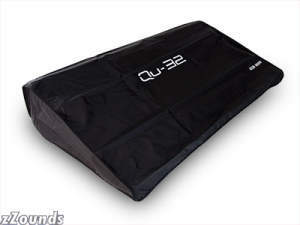 Allen and Heath - Dust Cover for Qu-32 Digital Mixer The Allen & Heath Dust Cover is specially designed for Qu-32 Digital Mixer. 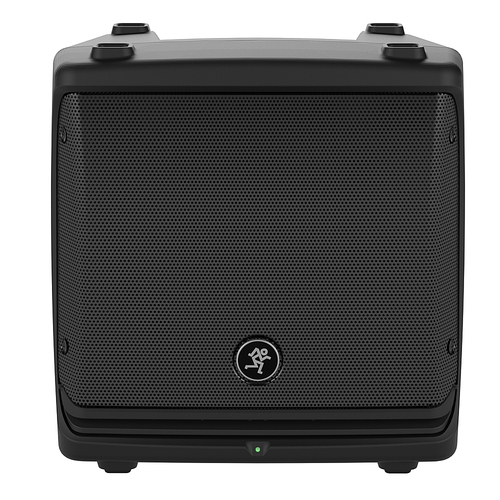 Decksaver - Protect your Berhinger X32 Digital Mixer with the specially made Decksaver X32 Protection Cover. Mackie - DL1608 Digital iPad Controlled Mixer, with Lightni The Mackie DL1608L iPad Controlled Digital Mixer redeems live mixing by combining the proven power of a full-featured digital mixer with the unmatched ease and mobility of an iPad. Mackie - DL16S 16-Channel Wireless Digital Mixer The Mackie DL16S delivers 16 channels of proven DL Series digital mixing in an all-new Built-Like-A-Tank stage-friendly design. Denon - DN-MC6000Mk2 DJ Mixer and USB Controller The DN-MC6000Mk2 is Denon DJ's next generation flagship professional DJ controller and digital mixer. Allen and Heath - Qu-SB Portable Digital Mixer The Allen and Heath Qu-SB is an ultra-compact digital mixer and interface designed for iPad control freeing you to mix from anywhere in the venue and providing a smart portable solution for bands AV and installations. QSC Audio - TouchMix 8 8-Channel Compact Digital Mixer The QSC TouchMix-8 mixer is ideal for professionals as well as less experienced users. 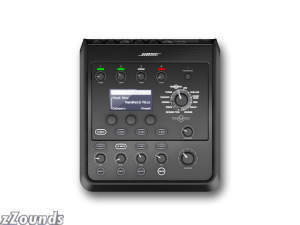 Tactile hardware controls and a touch screen allow fast intuitive operation. Play back from or record to a USB hard-drive without a PC. 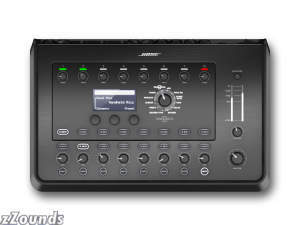 Mackie - DL32S 32-Channel Wireless Digital Mixer The Mackie DL32S delivers 32 channels of proven DL Series digital mixing in an all-new Built-Like-A-Tank stage-friendly design.
. - EVOX JMIX8 Active Two-Way Array Music System (Blac EVOX JMIX8 Active Two-Way Array Music System with FiR Technology Onboard Digital Mixer Custom RCF Transducers and the Ability to use the Evox App. QSC Audio - TouchMix 16 16-Channel Compact Digital Mixer The QSC TouchMix-16 mixer is ideal for professionals as well as less experienced users. Tactile hardware controls and a touch screen allow fast intuitive operation. Play back from or record to a USB hard-drive without a PC. Allen and Heath - QU-16C Digital Mixer, 16-Channel Now in a feature-packed Chrome Edition the Allen and Heath Qu-16 reshapes digital mixing with innovative design and exceptional functionality combining to create a superb professional mixing experience. BEHRINGER - X32 COMPACT Digital Mixer, 32-Channel The Behringer X32 COMPACT is a 40-Input Channel 25-Bus Digital Mixing Console with 16 Programmable MIDAS Preamps 17 Motorized Faders Channel LCD's FireWire/USB Audio Interface and iPad/iPhone* Remote Control. 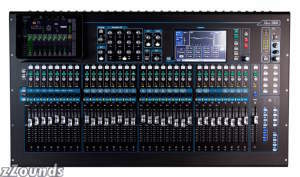 Yamaha - TF1 16 Channel Digital Mixer The Yamaha TF1 console takes live sound reinforcement to a new level of refinement with TouchFlow Operation recallable D-PRE preamplifiers advanced processing and much more. Allen and Heath - Qu-24C Digital Mixer, 24-Channel With its responsive touchscreen 25 motor faders and acclaimed AnalogiQ recallable preamps Qu-24 combines exceptional ease of use with class-leading audio performance. BEHRINGER - X32 Digital Mixer Designed to make it easy for analog users to move into the digital world the Behringer X32 has completely changed the game. 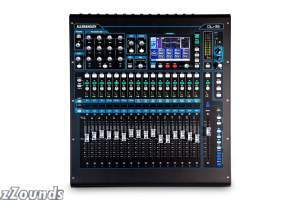 Intuitive powerful and versatile the Behringer X32 has quickly become an industry favorite. Allen and Heath - SQ-5 Digital Mixer The revolutionary design of the Allen & Heath SQ-5 is the mixer for the most demanding live sound applications. Yamaha - TF5 32 Channel Digital Mixer The Yamaha TF5 console takes live sound reinforcement to a new level of refinement with TouchFlow Operation recallable D-PRE preamplifiers advanced processing and much more. Allen and Heath - SQ-6 24-Channel Digital Mixer The SQ-6 is a next generation digital mixer powered by Allen & Heath's revolutionary XCVI 96kHz FPGA engine. Allen and Heath - SQ-6 Digital Mixer The revolutionary design with additional faders the Allen & Heath SQ-6 is the mixer for the most demanding live sound applications. Allen and Heath - SQ-7 48-Channel Digital Mixer The Allen and Heath SQ-7 is the 33-fader flagship console in the SQ series powered by their revolutionary 96kHz XCVI FPGA engine. Allen and Heath - SQ-7 Digital Mixer SQ-7 is the 33-fader flagship console in the SQ series powered by Allen & Heath's revolutionary 96kHz XCVI FPGA engine.